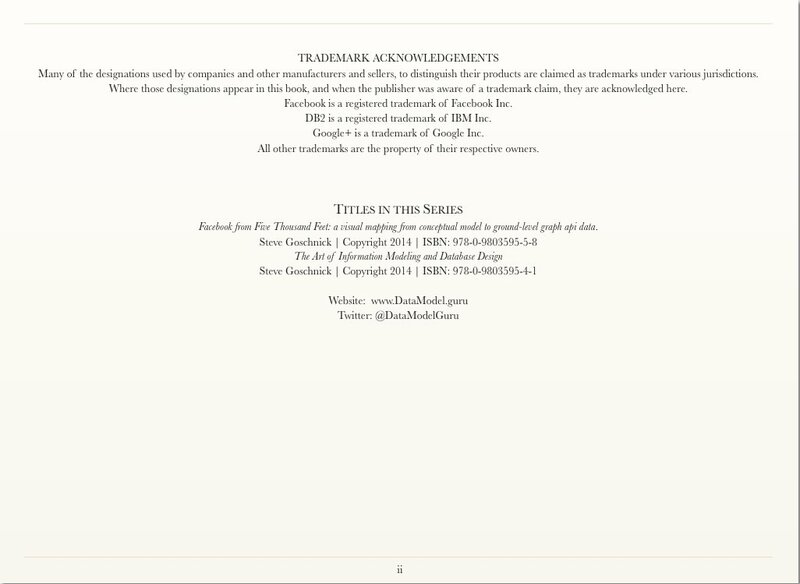 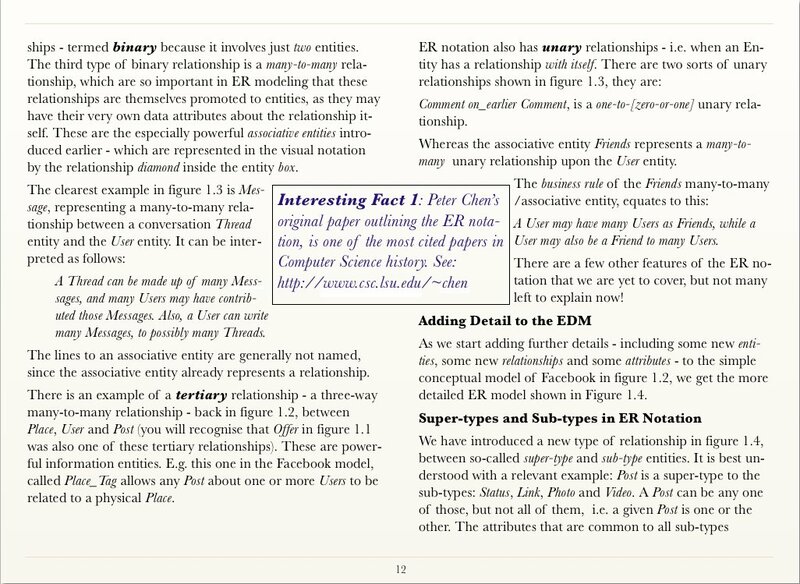 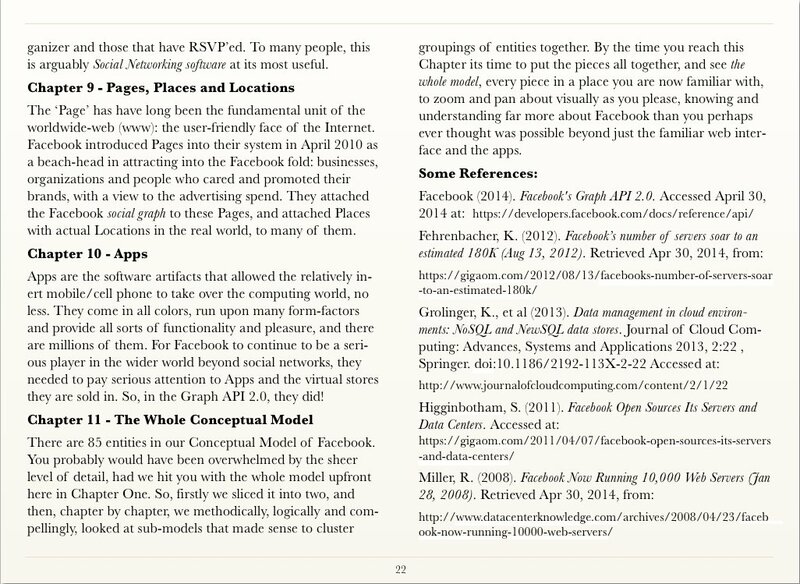 Note: iBooks lets you browse books and download them directly to your Mac, iPad, iPhone, or iPod touch. 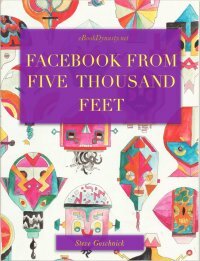 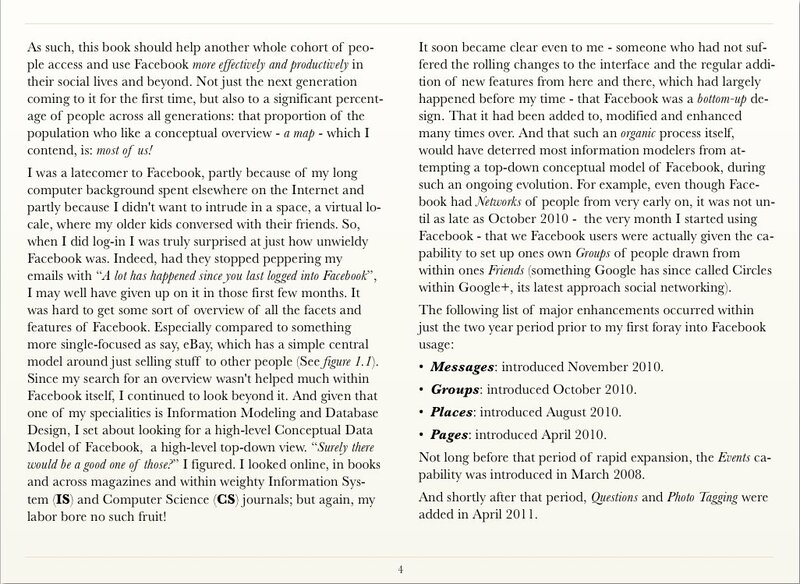 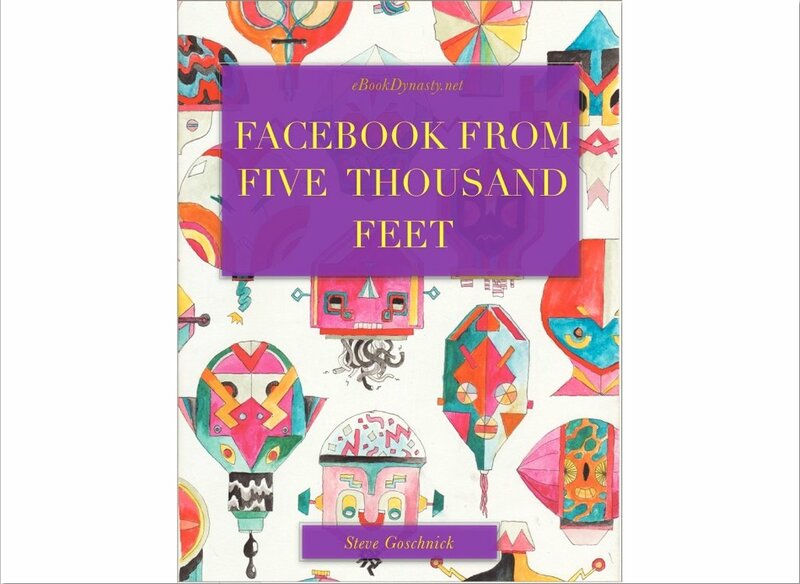 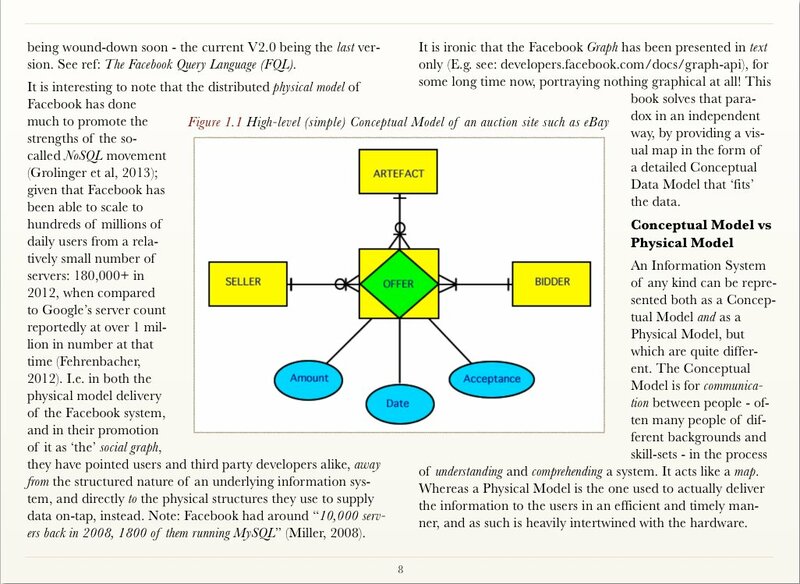 Facebook from Five Thousand Feet presents an inferred conceptual Data Model of the Facebook platform as a way-finding map of what has become an extensive system. 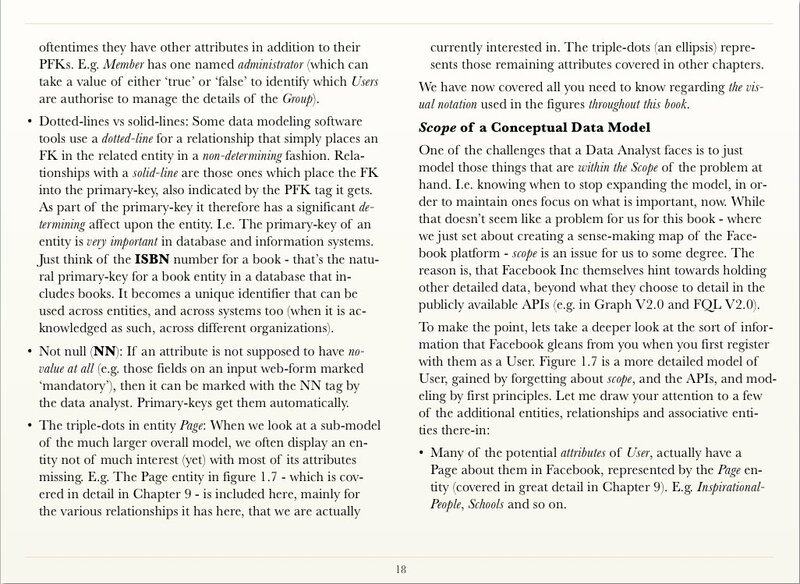 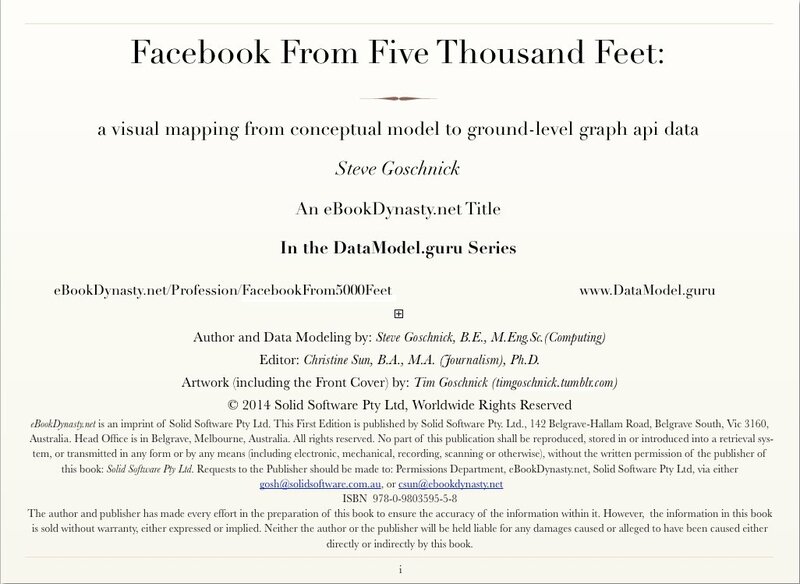 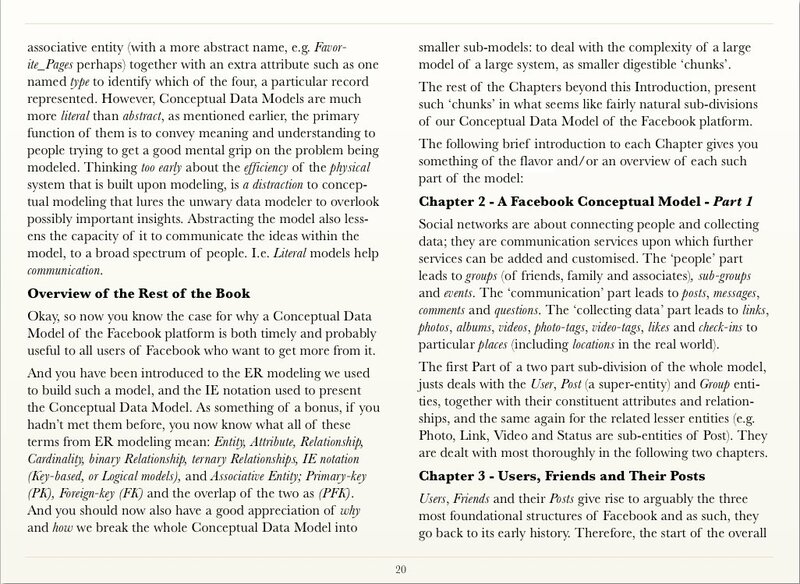 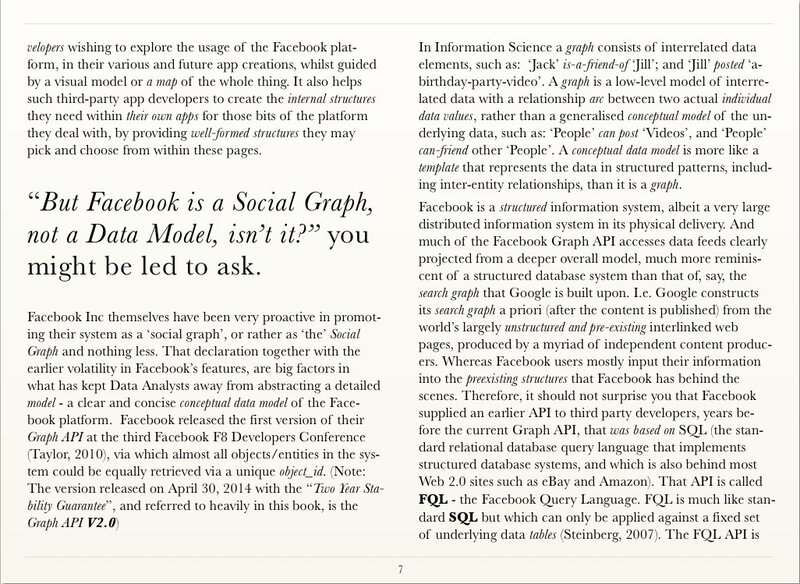 The visual data model is of the various facets of Facebook -- Groups, Events, Messages, Pages, Apps and so forth -- and mapped down to the descriptive level of the individual data fields as publicly documented in the Graph API 2.0. 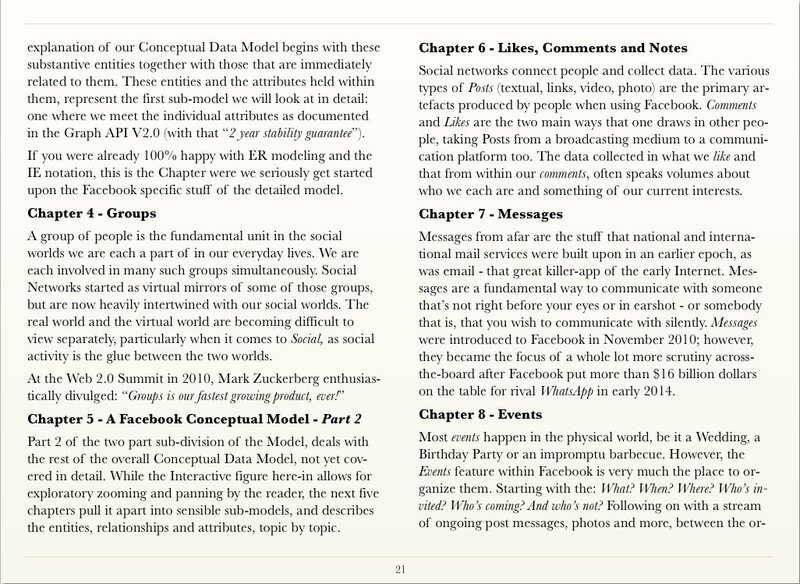 While filling such a visual gap is particularly useful for app developers, it is an approach open to every reader who wants a better understanding of the four corners of the Facebook platform and what it has to offer, beyond one's current usage. 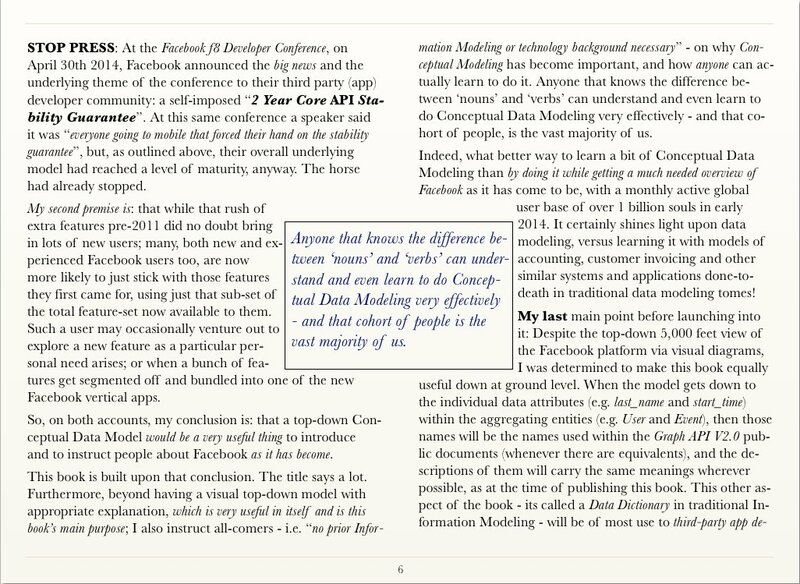 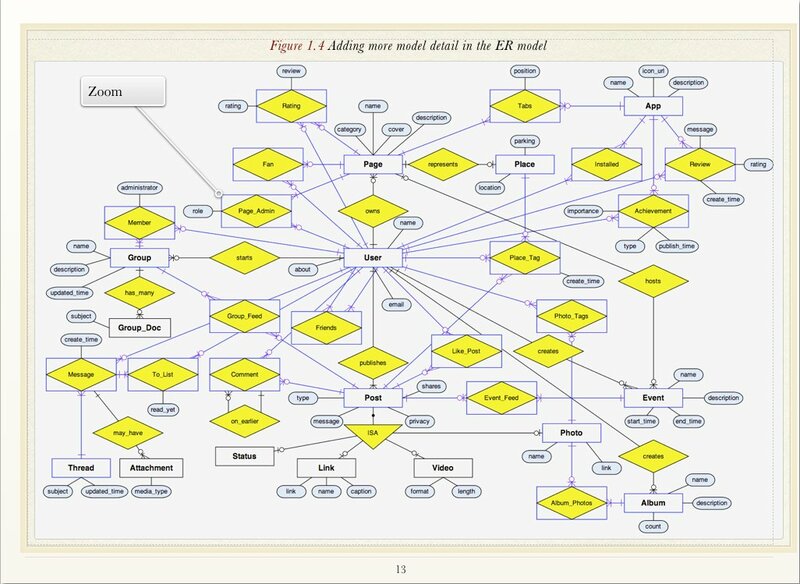 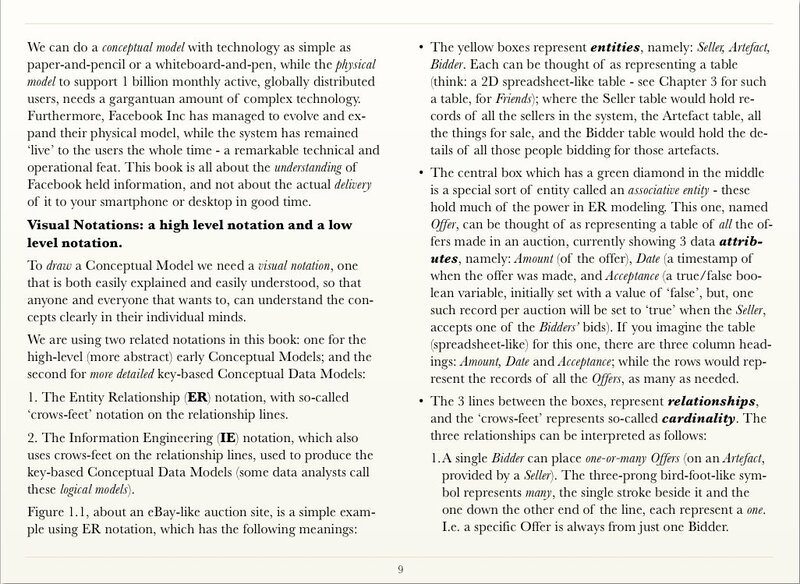 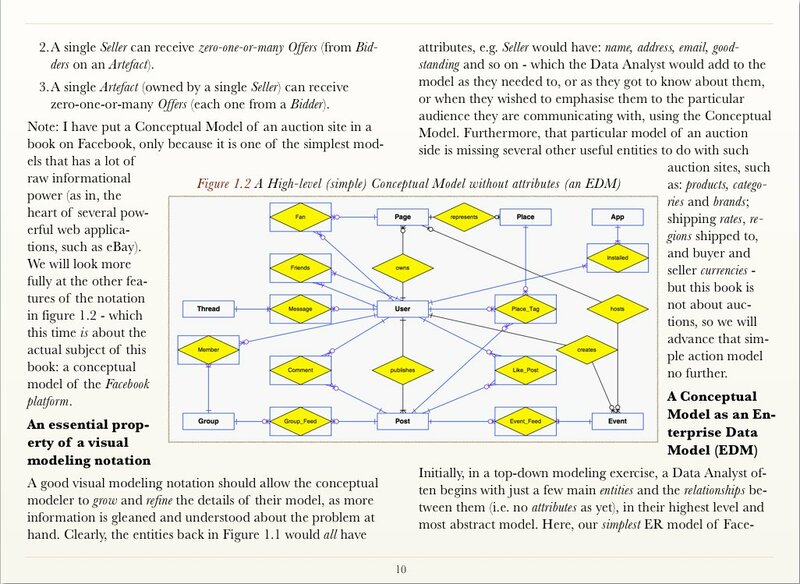 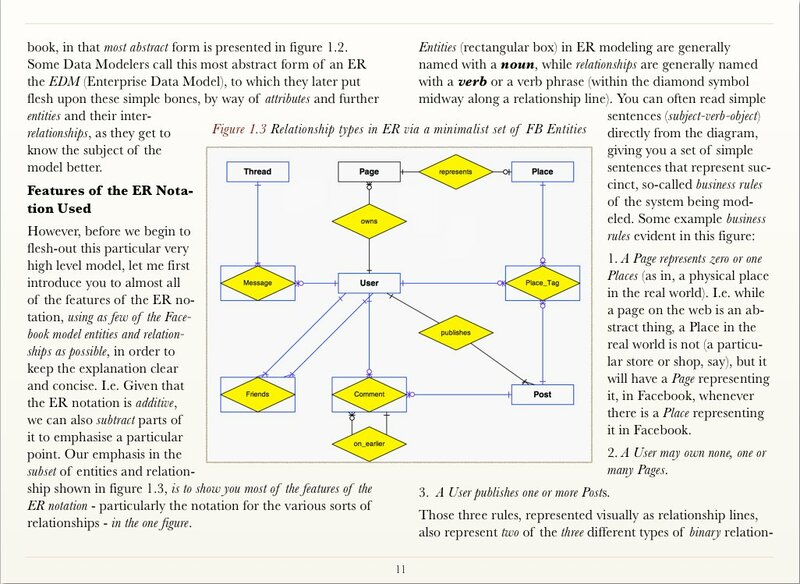 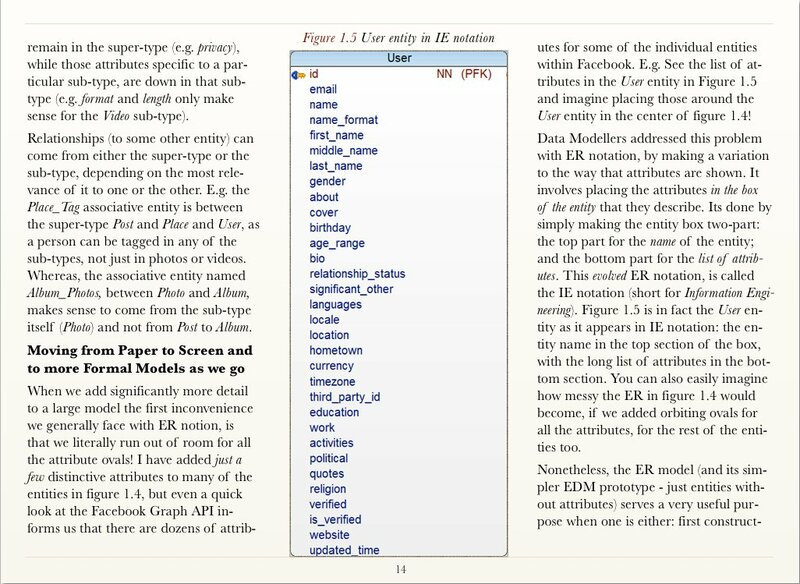 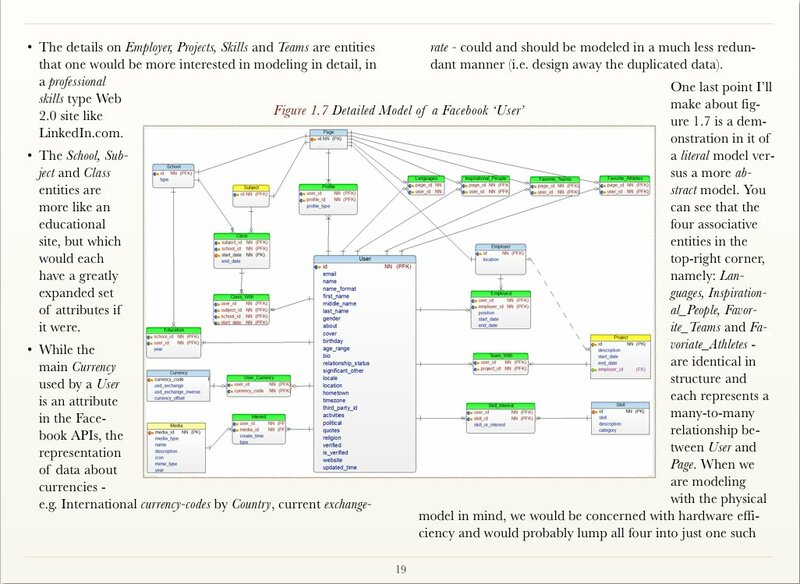 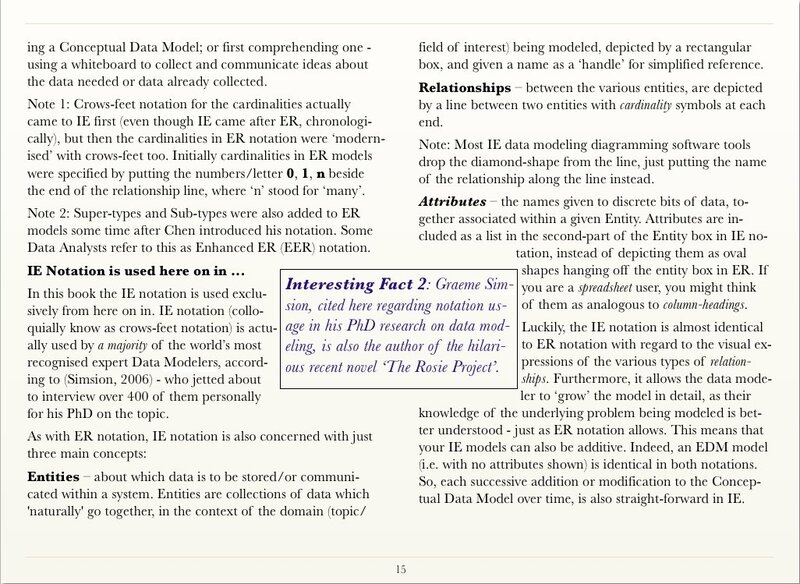 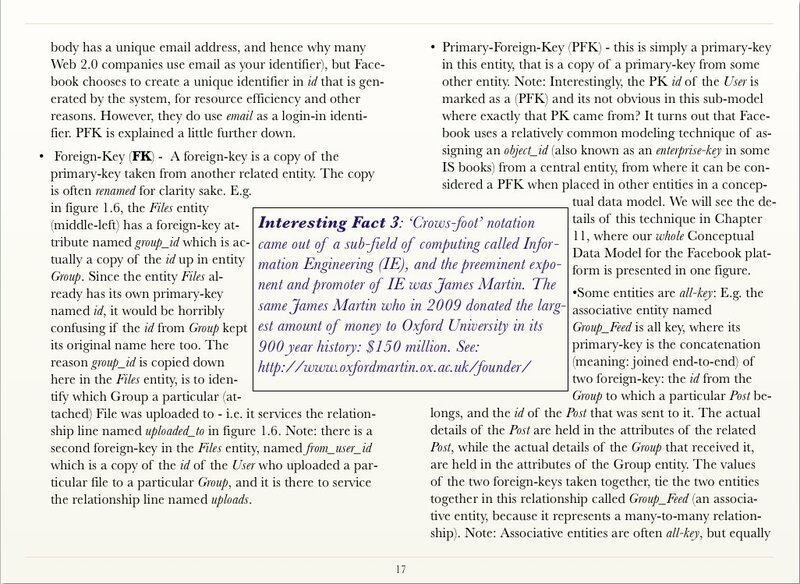 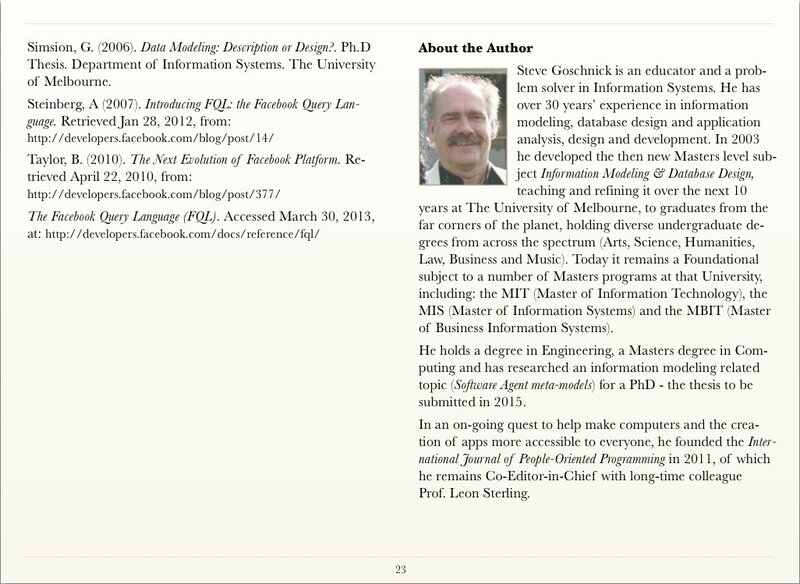 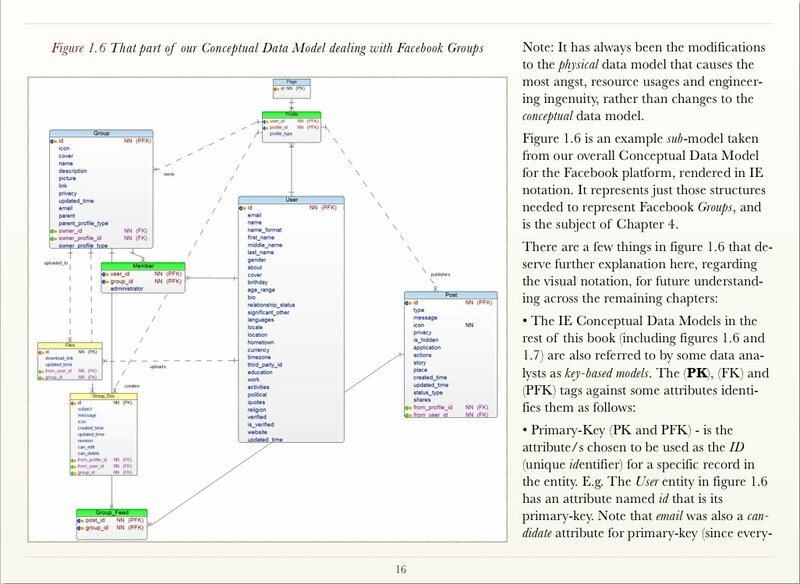 A spinoff benefit of the visual approach is that it also provides an effortless introduction to Data Modeling, around a subject domain (i.e. 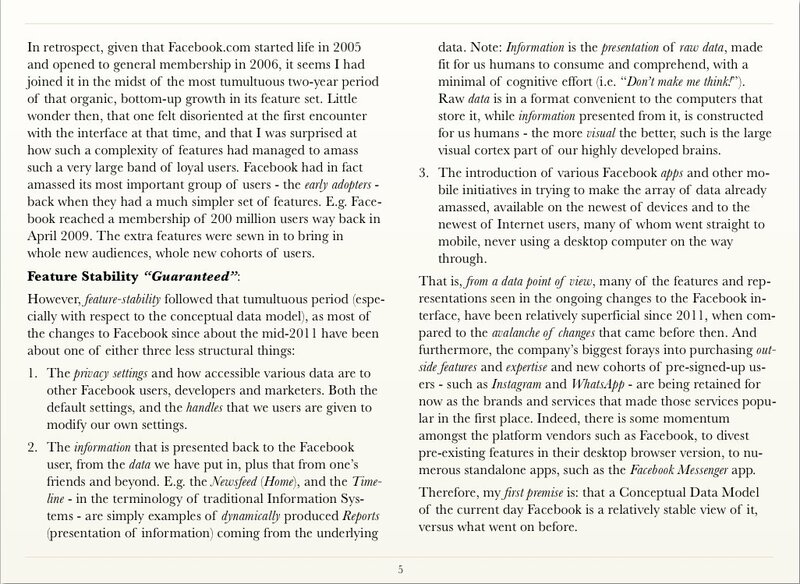 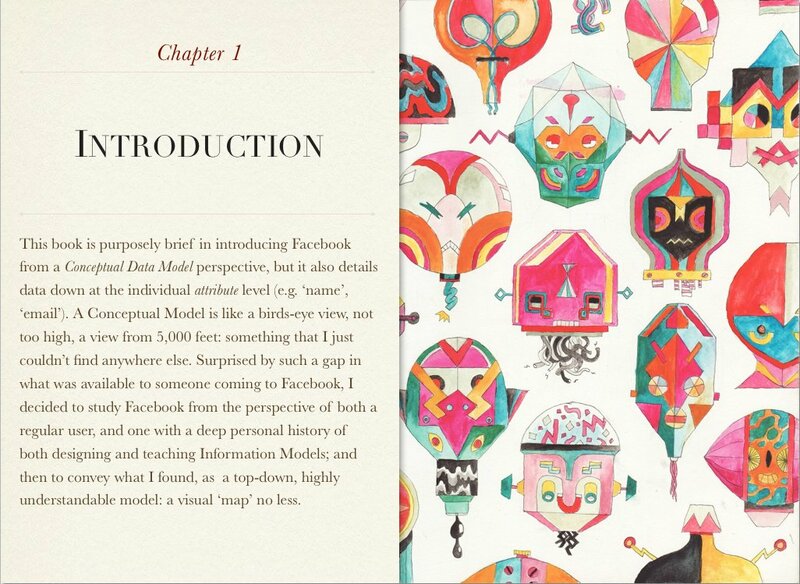 Facebook) that just about everyone on the planet is familiar with to some degree.